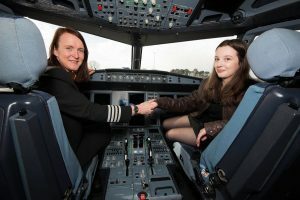 Ellie hit headlines in January 2019 after she became the youngest solo powered aircraft pilot in Britain. She also became the youngest solo glider pilot, after completing two six-minute flights on her 14th birthday. 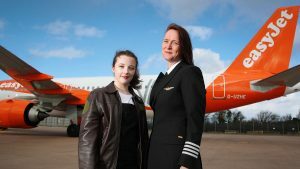 New research by easyJet of 2,000 British parents and children aged six to 16 commissioned by Europe’s leading airline easyJet, revealed that over half (52%) of young girls would consider a career in STEM (science, technology, engineering and maths) and over a quarter (27%) would consider a career as a pilot. The study found that despite a drive to break down gender barriers in employment, over half (51%) of British children believe their career choices are restricted by traditional ideas of ‘men’s’ and ‘women’s’ jobs. The figure is similar (66%) for their parents, showing the situation has barely changed in a generation. 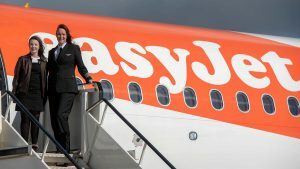 The campaign was conceived and executed by easyJet’s creative PR agency Taylor Herring. 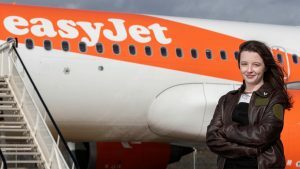 In 2018, Taylor Herring launched a recruitment campaign for easyJet, designed to inspire more girls to become airline pilots. The campaign video set out to challenge gender stereotyping, by reimagining a scene from Hollywood movie Catch Me If You Can, in which Leonardo DiCaprio impersonates a pilot.